Its here, its here! 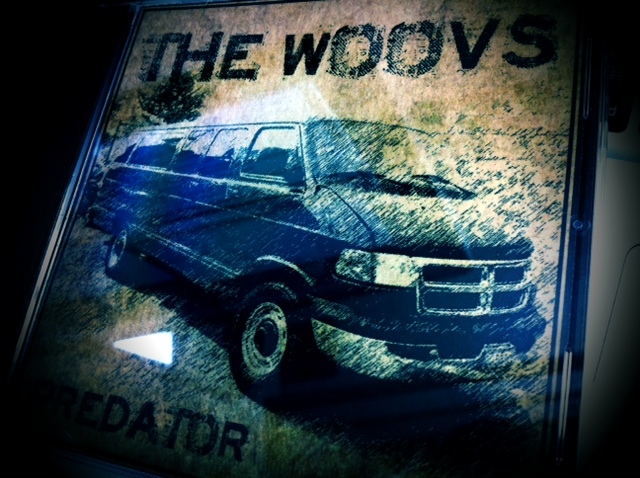 The new EP from the Woovs, ‘Predator’. And I am loving it. In this offering, I feel like Adam’s vocals have matured and have a fuller sound in this set of tracks. If you’ve never heard of the Woovs, and.. well.. if you are from Akron, you must be living under a rock! But, again, if you’ve never heard of them, they are a group hailing from Barberton with a jam rock sound that reminds me a bit of Sublime. A combination of sounds that have a reggae vibe mixed with good old jam band rock n roll. Again, the biggest change I am noticing is the sound of Adam’s vocals, its a crisper almost English punk sound with a more pleasing melodic vibe. Also, the addition of Daniel Kshywonis on percussion brings a fuller sound. The first time I met Dan, he was doing some backing percussion for Rachel Roberts most recent tracks, and the man can play some beats. Think marching band meets funk meets the congas. I am loving the new sound on the EP. The EP which was produced at Tangerine under the guidance of Ben Behorn has a nicely polished tone that still plays homage to their gritty roots. There are a couple of older/reworked tracks on the CD, but, all in all a very enjoyable 6 song offering. If you can get your hands on one, I would definitely recommend it, you won’t be sorry! This entry was posted in akron, Art News, music, ohio and tagged akron, art news, CD, EP, live, music, ohio, show, the woovs, woovs. Bookmark the permalink.